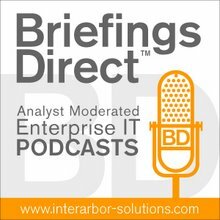 This latest BriefingsDirect podcast, from the recent 2013 Ariba LIVE Conference in Washington, D.C., examines how the healthcare sector has unique and daunting operational efficiency and regulatory challenges. To help transition to new levels of productivity, we explore how the game is being changed by MedAssets, a healthcare industry procurement, spend, operations, and supply-chain services company, which currently manages some $50 billion of supply spend for its customers annually. We'll learn how MedAssets, in partnership with Ariba, an SAP company, has found impactful ways to improve health provider and supplier compliance, reduce costs, and develop better accuracy. Gardner: What's going on in the business of healthcare, and why is this such an important area for focusing on innovation, productivity, and cost reduction? Grodin: We manage spend on behalf of 3,000-plus providers, both on the non-acute care side, as well as in the for-profit and not-for-profit acute care hospital community. The challenges that they're facing are quite remarkable, both from an incremental-cost perspective, whether that be supply cost or labor cost, as well as continued pressure on what are already razor-thin operating margins -- typically between 0 and 3 percent. With the Affordable Care Act coming down the pike, officially passed and certainly soon to be implemented, reimbursement per unit is going to come down materially for hospitals, and that’s going to have significant consequences on provider operations and financial health. As millions of new people come into the healthcare system, likely to be reimbursed through the state exchanges somewhere between Medicaid and Medicare rates, that’s going to have a significant impact on that operating margin, because hospitals are already losing money at Medicaid and Medicare rates. You're going to have a significant influx of new patient volume at lower reimbursements. Therefore, the need for the healthcare community to take out substantial cost over the next couple of years is just going to continue to intensify significantly. Anything that we can do, as a healthcare provider partner, to help them bring down those costs from a back-office operational efficiency perspective is going to be extremely important. Gardner: When you look toward supply chains, the networked economy, and cloud providers, what's interesting for innovation? It’s not only about how we can improve the financial health of our hospital customers, but also our supplier partners. Grodin: For us, specifically at MedAssets, the supplier community is extremely important to us. It’s not only about how we can improve the financial health of our hospital customers, but also our supplier partners. If we can continue to work with our supplier partners to bring down their cost, they can then pass along those efficiencies and offer lower price points to our provider customers. So it’s a win-win for everybody. Today, through MedAssets eCommerce Exchange and transaction management services, we help create a more efficient operating environment, with respect to getting purchase orders to suppliers. But because it’s through an EDI-based system, it’s basically just getting paper there more quickly, as opposed to correcting and rejecting invoices that are wrong on the front-end, so that they don’t need to be worked on the back end. Creating a more efficient operating environment with respect to that purchase order (PO) or invoice, and basically enabling a provider and a supplier to conduct that commerce through the cloud, our exchange, or a combination thereof, will create significant operating efficiencies on both sides of the house. Now, all of a sudden, the accounts payable (AP) clerk that’s sitting in a hospital doesn’t have to manage an exception. Today, they're constantly struggling with whether the PO price is the same as the contract price and the same as the invoice price. In many instances, it’s not. So they need to circle back with the supplier to say, "The invoice is wrong, and you need to fix it." Or they need to circle back internally and ask why they're cutting a PO that doesn’t match the contract price, whether it’s a locally negotiated contract or a contract through a group purchasing organization. So, it's the ability to catch those invoice exceptions upfront. All of that exception management activity can be repurposed to value-add activities internally, whether that’s reinvesting completely in patient care delivery or just repurposing those FTEs on the back end to again do more value-added activities that are not related to just managing an exception. Gardner: Tell us a bit about the history of MedAssets, what you do, and the size. Grodin: We touch approximately 4,200 acute-care hospitals across the country, as well as over 120,000 non-acute care providers. We have two operating segments within the organization. The one that I primarily focus on for product management is our Spend and Clinical Resource Management group. Within this segment, we deliver value to providers through our group purchasing organization, technology-enabled services, an analytics platform and procure-to-pay solutions that are all aimed at reducing cost on behalf of our providers. The other element that we bring to the table is through our Advisory Solutions group, which is a number of consulting practices that can address operational improvement opportunities or other areas of cost that are not impacted just through procurement or through a group purchasing organization. As most people are aware, labor cost is approximately 50 to 60 percent of total cost for a hospital. It’s a significant area of opportunity. As an example, we have a phenomenal group that focuses on clinical utilization and bringing down physician preference-item costs. We have a group that focuses on permanent labor and agency labor. As most people are aware, labor cost is approximately 50 to 60 percent of total cost for a hospital. It’s a significant area of opportunity. Finally, we bring lean transformation and process-improvement capabilities to healthcare through another practice in our Advisory Solutions group. There have been tremendous benefits brought through Lean to other industries, and we're trying to bring that to the healthcare environment as well. We have our Spend and Clinical Resource Management segment that manages over $50 billion in spend, but we also have another large operating segment where we provide revenue cycle management services. So we have a whole suite of technologies that can impact everything -- the front, middle and back portion of the revenue cycle -- as well as the Revenue Cycle Services group that provides both consulting services, as well as a shared-service environment for taking on revenue-cycle activities within a hospital environment. Gardner: How about the relationship between MedAssets and Ariba? Do you utilize their services in their cloud activities, technologies, and processes, and then apply that? Grodin: Our relationship with Ariba is on two fronts. We're currently in the process of implementing their Procure-to-Pay solution for our own internal use within MedAssets, and our team is extremely excited about how things are going so far. I was mainly focused on working with the Ariba team on putting together the strategic partnership that we announced in early April and that we're extremely excited about. We wanted to partner with the leader in global e-commerce and there was no doubt that that was the Ariba team. We’d like to bring the capabilities that are proven in other industries, where Ariba has basically gone to market and been extremely successful, and bring those similar cloud-based and network activities into healthcare. As I alluded to before, we have our own eCommerce Exchange and Transaction Management services, as well as a partnership on the front-end for requisitioning through Prodigo. Historically, we've done a very good job of working with the buyers in hospitals to requisition an item and get that purchase order out through our eCommerce Exchange and Transaction Management services to the vendor. Where we’ve fallen short is in helping our suppliers and providers get that invoice back most efficiently. The other thing that’s extremely exciting about what Ariba brings to the table is the fact that they have over one million vendors on their network. What's great about the Ariba Network is that we can link our eCommerce Exchange with the Ariba Network to enable a more efficient transaction process. We enable providers to get a PO out through our eCommerce Exchange or through the Ariba Network electronically, and then enable suppliers to send that invoice back electronically through their exchange or through invoice conversion services, which is basically taking the paper invoice and converting it into an electronic invoice. Multiple benefits come out of that. It’s a perfect complement to what MedAssets has already been doing in the healthcare community with our provider clients, but taking it to the next level. The other thing that’s extremely exciting about what Ariba brings to the table is the fact that they have over one million vendors on their network. Today, we do commerce through our exchange with about 350 traditional medical/surgical vendors, whereas Ariba has perfected the world that they call "indirect spend" and we call "purchased services." That's a huge unlock both for us and for the provider community. We believe that purchased services spend is just as big as the spend that goes through the GPO, if not even bigger. Typically, that has been a very hard area for providers to get their arms around, because they haven’t had access to the data. The main reason for that is that most of the purchased services spend is a non-PO transaction. So it’s very hard to get to that granular line-item level detail to break down that spend, whether it’s by contract category or specific vendor. You can’t manage anything if you can’t see it. So we're extremely excited about leveraging the Ariba Network and working with them to capture 100 percent of provider spend, not just med/surg and PO-backed spend, but all of the spend that’s coming out of the hospital. The value this can bring to the provider community is significant. Gardner: How do MedAssets and Ariba come together to offer new capabilities into the market? Ariba has created a smart invoicing capability, because it’s a network, as opposed to just an EDI pipe. Grodin: This is where I get very excited about the potential of what Ariba and MedAssets can do together in the marketplace. As I mentioned before, we have our eCommerce Exchange, which is EDI-based, and we can get a certain portion of invoices back electronically through our exchange. There are other offerings in the marketplace that are very similar, but really what they do is just get a paper invoice back into the provider’s hands more quickly. But you don’t know if that invoice is correct. If it’s not correct, there is a whole lot of inefficiency in managing that exception on the backend. Ariba has created a smart invoicing capability, because it’s a network, as opposed to just an EDI pipe. Those invoices that are inaccurate can be rejected on the front-end, so they never even get to the provider until they are accurate. The best part about it is that rules engine -- and that I believe that you can customize up to 70 different rules -- is dictated by the provider themselves. It’s not a built-in, one-size-fits-all type of solution. Depending on the unique needs of that provider, they can customize that rules engine to reject inaccurate invoices back to the supplier in real-time. It’s the whole notion of garbage in, garbage out. We're preventing the garbage from coming through, which is then creating those efficiencies in accounts payable. That is absolutely something that’s going to be unique to healthcare and doesn’t exist today, and which again will create tremendous operational efficiencies on the back end. Because of smart invoicing and the overall transaction efficiency that’s created through the exchange and the network, we're going to be able to enable providers to get invoices in a ready-to-pay status much more quickly. Industry best practice is five days. We've seen metrics, where it could take anywhere between 20 and 40 days to get that invoice approved for most healthcare providers today. Our relationship with Ariba will enable us to leverage Ariba’s working capital management solutions as well. They’ve got something that they refer to as Dynamic Discounting, which creates the ability to have an ad-hoc negotiation for further cost-of-goods-sold reductions between a provider and a supplier. Because of the increased visibility into where an invoice is sitting and what the status of that invoice is between suppliers and providers -- something that doesn’t exist in healthcare today -- a supplier can go in and see that an invoice is sitting in a ready-to-pay status. They can then offer an incremental discount to the provider, so that if the provider has additional cash on hand and it’s better used to drive additional discounts as opposed to sitting and getting short-term interest, that can make a tremendous amount of sense. So, there's also the ability to optimize prompt-pay discounts, where appropriate, because we're getting those invoices in a ready-to-pay status much more quickly. So if it’s a two percent discount if you pay within 10 days, and the average invoice isn’t being approved for 20 days, all of a sudden I've missed that window. Even if I have cash on hand, I can’t leverage it. Even better, if I've missed that prompt-pay window, but am willing to pay on day 20, instead of day 30 or day 40, all of a sudden there is value coming back to the provider as opposed to no incremental value for paying early. It’s just another lever or another tool in the toolkit that we can use to drive further cost reductions in our partnership with Ariba. As the reimbursement models are changing in healthcare, they're getting more-and-more focused on clinical quality, safety, etc. The benefits are significant in a couple of areas, making that back-office function, specifically in AP, more efficient, more scalable, and being able to repurpose the work that was being done in that department and in other back-office administrative areas. Also, the ability to reinvest those resources in front-line patient care delivery. As the reimbursement models are changing in healthcare, they're getting more-and-more focused on clinical quality, safety, etc. That’s where a hospital’s core focus needs to be, not in the back-office. It needs to be with the patient. Certainly there are significant FTE and operating efficiency benefits created by this partnership, but what we are particularly excited about is more from a contract-compliance perspective. Through our eCommerce Exchange, our transaction management service, as well as what Ariba is going to bring to the table through PO and invoice automation, invoice conversion services, invoice professional which is their workflow tool, we'll have the ability to ensure that folks are buying on contract where they should be and also ensuring that they are paying the right price. We do a good job today of ensuring that that PO price matches the contract price, but where we have been challenged in the past is the ability to bring that invoice price in. It’s going to bring significant benefits, because in some of the research that we're doing with very sophisticated health systems, they're finding that they may only be buying on contract 30-40 percent of the time. So a contract is only as good as its use. If it’s just sitting in a drawer and nobody is accessing it, all the great work that’s been done by their sourcing team or our sourcing team is for naught. The ability to do all of that in real time, to take that PO price match it up against our contract price and against the invoice price, is going to ensure not only are they buying on contract, but they are paying the right price. Gardner: What's in store for further eking out productivity gains? Grodin: As our relationship continues to blossom with Ariba, I'm sure we’ll be having conversations around their spend visibility and other analytic tools that they can bring to the table. Within MedAssets, we have our own analytics tools, including service line analytics, spend analytics and pharmacy analytics. For us, the true unlock is the ability to get access to purchasing and spend data, which is where we are very excited. For us, the true unlock is the ability to get access to purchasing and spend data, which is where we are very excited. We capture a lot of financial and spend data today, but this purchasing and indirect spend area is really an untapped horizon where the data and the technology that Ariba is going to bring, in combination with our analytics, people and process, will provide significant benefit. We currently manage about $5 billion of spend through our National Procurement Center, which is the largest shared services operation of its kind in healthcare today. That combination of people, process, and technology is absolutely going to unlock new opportunities in healthcare from a spend-management and cost-reduction perspective.